BMW to sponsor London Olympics | What Car? 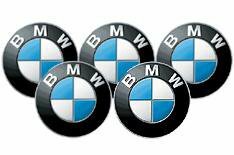 BMW will be Automotive Partner of the London 2012 Olympic and Paralympic Games, it has been announced. The car maker will supply around 4000 vehicles to transport athletes, technical officials, media and other staff throughout the Olympic Games. BMW also becomes a 'Sustainability Partner', supporting London 2012's commitment to delivering a 'low carbon', 'healthy living' event. BMW's fleet of cars will undercut the maximum average emissions of 120g/km CO2 required by the London Organising Committee of the Olympic Games and Paralympic Games. As well as showcasing some electric vehicles at the Olympics, BMW will be supplying bicycles for use by athletes in the Athletes Village and by London 2012 staff. BMW motorcycles will also be used in certain events.